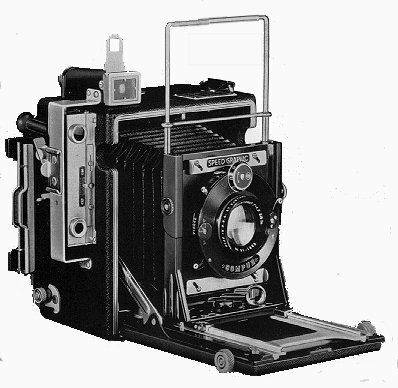 In the 1940s and 1950’s my dad was a fine photographer using a 4×5 Graflex Speed Graphic to take scenic and family portraits. I remember he had a darkroom someplace in the house to process the film from those funny black holders but I was too young to go there so I didn’t get trained in his techniques before he died.To this day I still have a photo of my dad hanging on the dining room wall taken with that camera from the early 60s. 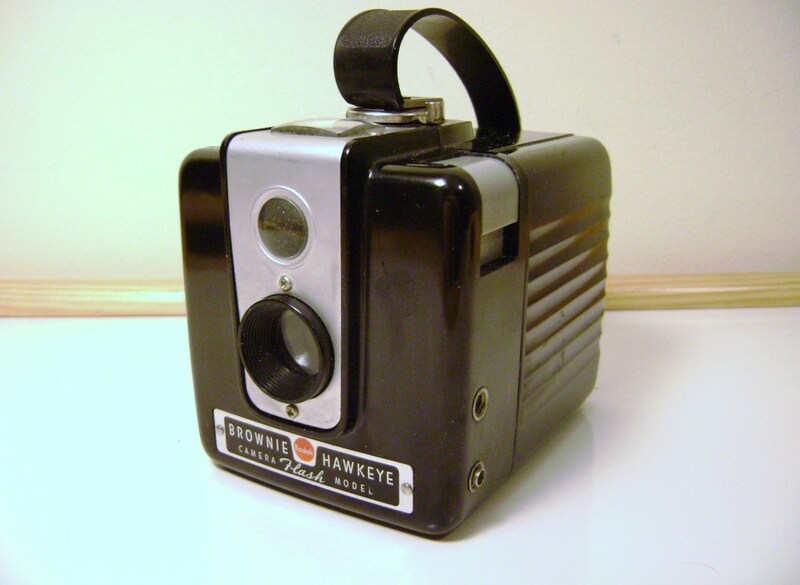 The first camera I remember taking pictures with was a Kodak Brownie Hawkeye that my parents also used to snap square black and white vacation scenic photos and family memories on wide 120 roll film. The pictures were printed in roll sized packs. Somewhere in my middle school years a Poloroid camera came my way and I was able to take my own pictures. With the Polaroid I lea rned instant gratification in seeing the efforts of my work in about 60 seconds. After high school graduation I moved to my sister’s house for a while and she offered me a Minolta viewfinder camera which I used until I wore it out in about a year. I was 18 at that point and I was fortunate enough to land a job working in the film department at a TV station in Orlando Florida. All of a sudden I had access to incredible and cheap resources, film, cameras of all kinds, darkrooms, and processing. They let me buy film and other products at station prices and I processed my film right in our own facility for nothing; my use was so small compared to the station’s processing use no one cared. Up to that point photography was a little expensive for me so I wasn’t as interested in something I could not afford. With the help of the TV station now I could start really taking pictures so it wasn’t too long before I purchased my first set of SLRs, yes set, Olympus OM-I and OM-II complete with lenses and flash. Of course the cameras came after getting married and having our first child, the inspiration for the photographs. At one point we had a studio in the house complete with various pull down backgrounds and lighting and everything necessary for taking really good kid pictures and with the full processing lab at work and enlargement facilities of a neighbor I started shooting mass amounts of film. Since I could buy a 100 foot roll of slide film that spooled down into about 40 rolls of film for less than 10 dollars I was processing 2-5 rolls of film per week. When I added the auto winder on the OM-II and that count went up, dramatically. At that point I didn’t measure film usage by frame but by the foot. When Jo, my wife, and I celebrated our 25th anniversary I produced a video to present at our party and I spent about 8 months sifting through 25,000 pictures, mostly slides, to use in my 800 picture presentation. 17 years ago I still had the facilities to migrate a fair amount of pictures to video tape and was able to cut my tractor trailer load of slide carousels to a smaller box and put it in a humidity controlled space. I hesitated at the first sign of digital photography and was not really interested in getting into a technology that, even though had a small footprint, did not meet my quality expectations so the first 3 or 4 first generations of digital photography went un-noticed. Like any good technologist I purchased a cheap Casio 640×480 camera for experimenting with but, well, EWE! The next generation Sony Mavica was a little better but was terribly expensive to play with so I waited for a used one. Good thing too, YUCK!. 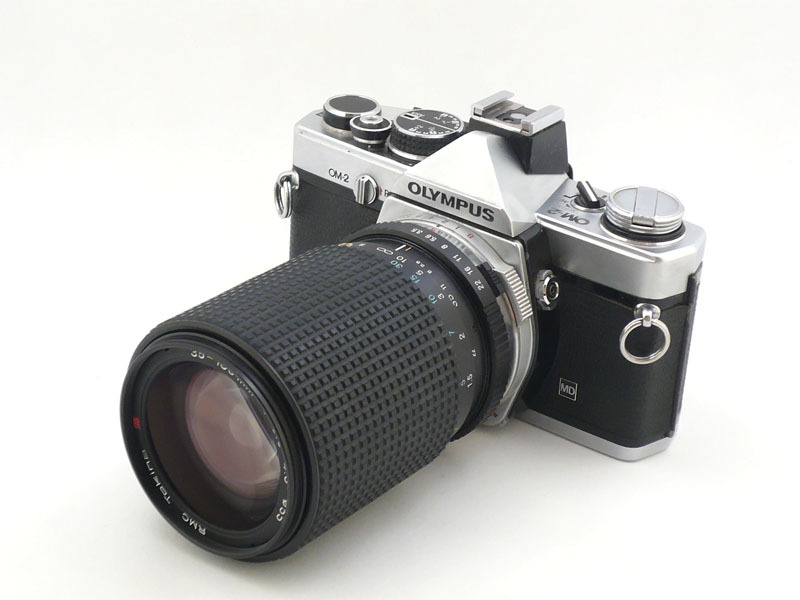 For 20 years I was a hard-core Olympus fan! I loved the size and feel of the Olympus but in 2001 Canon came out with the Digital Rebel and I fell in love at first frame. 6 years and almost 50,000 pictures later it was time to start moving away from a heavy DSLR with a bunch of lenses. During the years since the video recorder sold to the public I also had some really nice video cameras and portable recording gear which I carried and used while shooting stills. For years when I was out shooting I carried about 30 or so pounds of camera and video gear so the idea of still cameras evolving into real video recorders (1080p HD) and awesome stills (10mpix with RAW recorder) at a reasonable weight cost was a welcomed evolution to the technology and I was ready to jump on it. 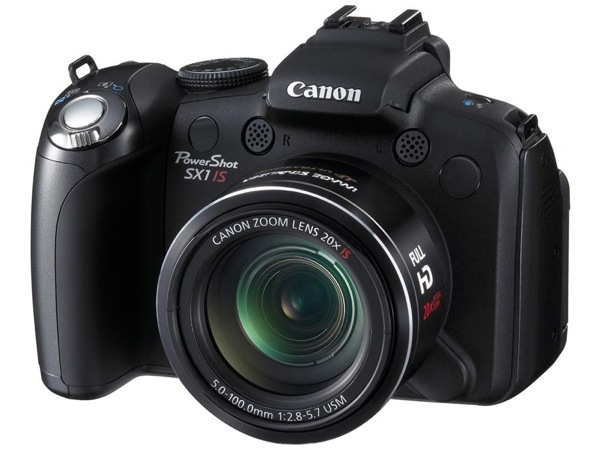 In June of 2009 I purchased an SX1 IS, the new breed of CMOS “point and shoot” cameras. There is a huge difference between the way a DSLR shoots and a “Point and shoot” camera so I decided to put my fast SLR away and only use the SX1 to discipline myself to use it. That year felt something like a deaf person learning to use sign language to communicate for the first time, both freeing yet extremely different. From June 2009 to June 2010 I shot 48,000 stills and videos as I disciplined myself in the art of shooting with an automated point and shoot camera. The sheer bulk of the shots are attributed to “sequence” shooting. Let me describe sequence shooting. When I was using a film camera with the “auto winder” I could safely load a little more than 5 feet of film into a cartridge without scratching the frames. That was, an average, 38-40 shots per roll so during a film sequence I could burn through a roll of film in about 20 seconds and a 100′ spool (20 rolls of film) pretty quickly so for many years I was limited to bursts of a dozen shots or less at one time. In the late 1970’s the TV industry moved away from film so no longer did I have access to cheap processing so sequence shooting died out because of the price of processing. One of the real advantages of the Digital Rebel was the ability for short bursts 3-6 shots at a time with a short pause while they wrote to the chip then 3-6 more than another pause. I could do that for several hundred shots before having to stop and change recording media. Enter the SX1 and sequence shooting returned to reality. The SX1 will fire off a little over 4 full resolution .jpg shots for every second you hold the button down … for as long as the recording medium has space. With a 16 gig Class 6 SD chip you can store just under 6000 full resolution pictures. Finally, a camera and medium that can keep up with me! The point to take away here is that in a little more than 30 years I moved from a dozen sequence shots to, well, I sometimes shoot as many as 200 in any given sequence. Thus the quantity of the pictures. By now you are probably sitting there scratching your head and asking yourself “WHY” shoot that many shots of a scene or object? The purpose of sequencing is pretty simple, action with high-resolution! Yes the SX1 shoots fine 30fps full frame HD video and audio but that resolution is 1920 x 1080. I didn’t even purchase my first digital camera 9 years ago until I could shoot at least double that resolution which the stills were. And since the SX1 will save the images in RAW format the imagery is even clearer because the pictures aren’t compressed. 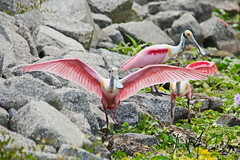 In the context of wildlife photography maybe you can see how important sequence shooting is. Studio shots, not so much. In the studio you create the image long before you click the shot and if you don’t like the shot you can take another one a few minutes later. 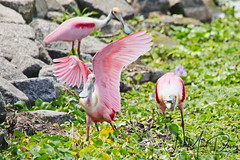 Wildlife is, well, wild and usually moving and unpredictable so shooting a sequence of rapid fire shots increases your chance to “luck out” on a shot. 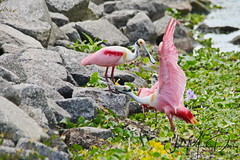 Most wildlife photographers sequence shoot, they are just limited by chip speed or space, or both; the DSLRs tend to use slower chip technology media storage. The SX1 breaks that barrier. There are some image quality and shooting technique trade offs because the same thing that makes it awesome to use also makes it harder to use for “old timers” like me who enjoy the feel of the lens and the view through the direct optics instead of looking at a little low resolution TV screen. Using the SX1 and other “point and shoot” cameras you have to learn to rely on automation from critical focus to exposure to just the “feel” of the camera. The automatics are pretty good but there are intrinsic qualities that make each photographer different and, without practicing a lot with this camera, you might feel that you are being reduced to monotonous automation. Practice with the camera really helps. Do I use my Rebel anymore? You bet! I picked it up again after that first year and I use it for capturing flying birds and extreme action because the “auto” cameras completely fall apart when they are asked to respond as quickly as a DSLR in manual. That’s the trade-off and mostly why I sequence shoot. 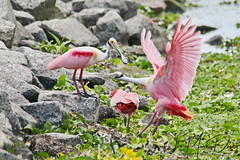 A good wildlife photographer has great hand-eye coordination and can predict the instant to take that one spectacular picture. Sequence shooting allows a good photographer to predict the shot but start shooting early to overcome the slow reaction of the “auto” camera. Then you can choose that great shot from the sequence. Enjoy shooting! Lets see some great pictures! OMG…ok JM…I read this and understood about half. 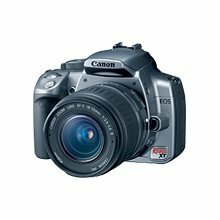 I have just purchased the Canon Rebel T1i EOS 500D…and am trying to read, watch & research. I will continue to watch for your writings to catch onto this new lingo. Preparing to take pics of our new grandbaby due in Dec. The Rebel is a great camera, I used mine for almost 7 years, still use it occasionally. You have a newer model so it has some innovations. 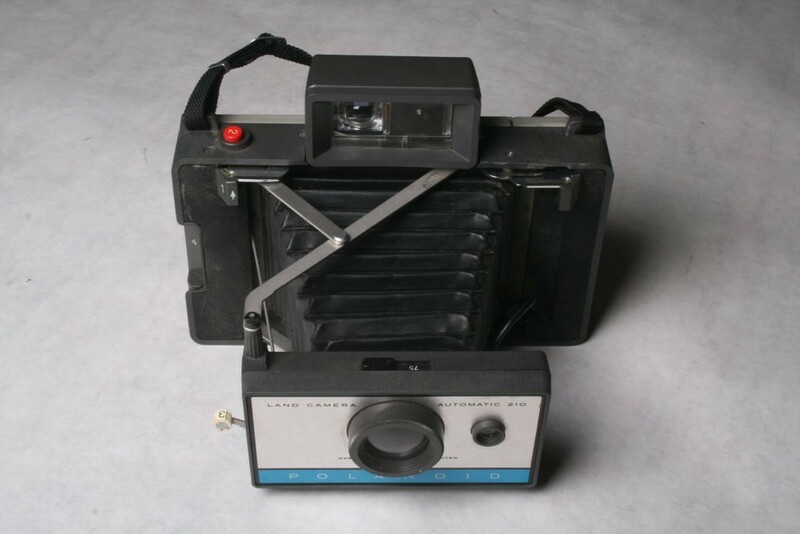 My suggestion is to shoot lots of pictures with it to learn how it works and feels. Practice, practice, practice. If you want to make good pictures the camera will almost do that on it’s own. If you want to make great pictures then shoot a lot of pictures. Digital pictures cost almost nothing so take several months and just carry the thing everywhere and shoot anything until you get comfortable with it. Try not to get it wet or scratch the front lens, other than that the camera is pretty solid and is really made to travel. 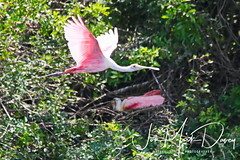 Jo and I are headed out in the morning, 4:30am to shoot in a wetland area just off Markham road just below Daytona Beach. We really love to be out taking pictures this time of the year.